If you’re a home buyer, you may have fallen in love with a historic home or with a home in a historic district. Although a historic home has an appeal and charm for many buyers, there are certain restrictions and expenses you must know before sealing the deal. While being the proud owner of a literally one-of-a-kind home is alluring, you may run into unexpected complications when purchasing vintage houses. For example, older properties may have serious structural problems you wouldn’t encounter in a new house, as well as hidden problems which will only surface later. Owners of historic homes are also required to follow strict home rehabilitation guidelines—many of which allow you to repair, but not to rebuild or to replace. To help protect your future home investment, here is some vital information and expert advice about buying a historic home. A home is deemed historic or “architecturally significant” by the National Register of Historic Places—or by the local historic board—if it exemplifies a signature architectural style, captures the essence of a given time period, or is associated with famous people from the past. Also included in this category are homes located in neighborhoods designated as historic districts. The aesthetic beauty of historic homes is a magnet for many home buyers, as is the often unmatched architecture that has withstood the test of time. If you’re thinking about buying a historic home, you’ll be happy to learn additional benefits may come with the purchase of a historic property. Many states and local governments offer tax incentives in the form of tax credits or lower interest loans for preserving and restoring historic structures. You have to qualify for these tax abatements, and while the amounts won’t make you rich, they’re still benefits you wouldn’t otherwise receive when buying a new house. Now that you have set your sights on a vintage home, it’s time to get down to the nuts and bolts of purchasing your coveted property. Additions: Rarely are homeowners permitted to add footage to historic homes, including extra stories. Windows, shutters and roofs: Since house exteriors such as windows, shutters and roofs embody the original architecture or design style, they are to be preserved and can only be replaced in kind. If costly construction materials are involved, this may be an added expense you didn’t anticipate. Taxes: Although you may qualify for tax benefits for investing in a home or in a district where preservation and restoration are priorities, tax levies for merely living in a historic neighborhood may be higher than other neighborhoods. Utility bills: Before you seal the deal, study the previous year’s energy bills. It may cost you significantly more to heat and cool an older home than a new one. 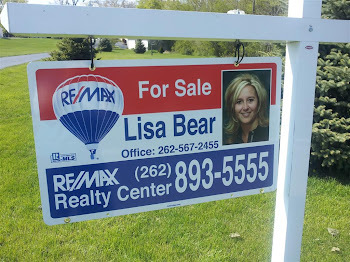 The agents at RE/MAX Realty Center, Real Estate in Wisconsin (262-567-2455) are experienced agents with many years of real estate under their belts. If you are looking for top notch real estate agents in Waukesha County and the entire Milwaukee Metro area look no further! The agents in our office think "outside of the BOX", focus on you and YOUR needs. We offer what most of the other agencies in the area cannot. Creativity, Listing Package Options and unsurpassed marketing exposure locally, throughout the entire United States and Internationally! If you want creative options and exceptional marketing and service -- we are the answer. Not all options to pay off debt are good ones. When considering methods like obtaining a home equity loan or an increased line of credit, cashing out your 401(k), and cash payday advances, you should realize these are simply quick fixes that will increase your total debt and financial risks. Knowing the wrong approaches to reducing your debt will help steer you in the direction of the right ones. Home equity lines of credit, or HELOCs, are good for things like home repairs and updates. But if you use them to reduce a heavy debt, you are putting your home at risk since you are putting it up as collateral. The ultimate loss of your home in foreclosure makes this too risky a path to take. You can’t plan for the future—things like divorce, illness (particularly the medical bills that follow), job loss or other unforeseen events can drain your bank account. If that happens when you are using a HELOC, you might not be able to pay it back: debt is better than homelessness. Asking a bank or credit card company to increase your line of credit often results in greater debt and less attainable payoffs, especially since the interest rate will likely increase as the line of credit is extended. While taking on more credit—and more debt—is better than leveraging your home, it’s still a way to bury yourself in more unpaid bills. Even if you are eligible to take money out of a 401(k) plan, you will be required to pay federal taxes on it when you do so. If you take a loan out on your 401(k), you can be taxed on the money as income when you receive the loan—and then again later when you withdraw the money for retirement. Being taxed twice is never a sound financial move. It is better to let the 401(k) sit and earn interest rather than cost you loan interest or tax dollars. Save it for your retirement. Cash and payday advances should be for emergencies only—not to handle debts. The payday advance can carry an even larger interest rate than those attached to your debts, sometimes astronomically. The cash advance puts money in your hand, but ultimately, it only increases your total debt. You’ll be subjected to minimum fees and percentage fees—or both. Again, unpredictable events can harm the payoff of these added debts as well as the original debt you may have sought these advances to cover. Bankruptcy should only be considered as an option when all other paths have failed, as it will seriously hinder your ability to get a loan for a while. For example, you shouldn’t even consider applying for a mortgage for two years after your bankruptcy has been discharged. If you are considering bankruptcy, seek proper credit and bankruptcy counseling before filing. There are several different forms of bankruptcy to consider, and a counselor can advise you as to which best fits your circumstances. Bankruptcy is a legal proceeding with specific consequences. You need an attorney to handle the details of a bankruptcy. You can’t get in incredible shape by going to the gym for just one day, one week or even one month. Likewise, you can’t get in good financial shape if you don’t budget accordingly until your debts are paid. The best way to do this is to create a long-term budget and stick to it. Involve your family, go over expenses and see what you can do without. It takes discipline, but it’s the best way—for while there’s no quick fix to getting out of debt, you can eliminate it over time. Miracle Treat Day is today! Children’s Miracle Network and Dairy Queen are at it again….tempting our taste buds for a good cause! Miracle Treat Day is today! On Thursday August 14th, 2014, $1 or more from every Blizzard® Treat purchased at participating DQ® stores will be donated to your local Children’s Miracle Network Hospitals® to help children in need. If you ask us, that’s a very good reason to treat yourself to some ice cream!